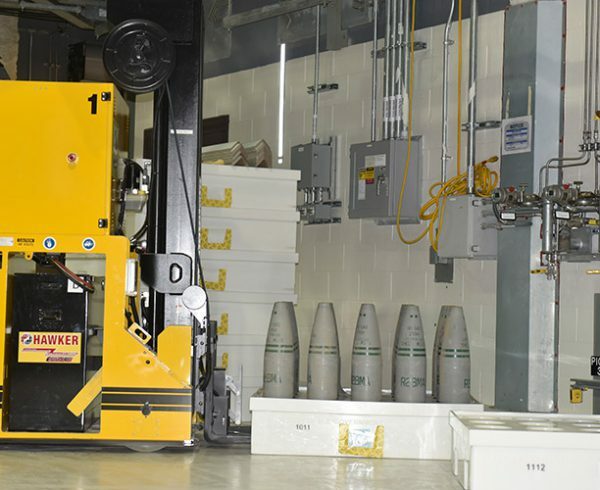 Ordnance technicians stand next to a pallet of reconfigured 155mm projectiles to commemorate the restart of agent operations at the Pueblo Chemical Agent-Destruction Pilot Plant June 13. 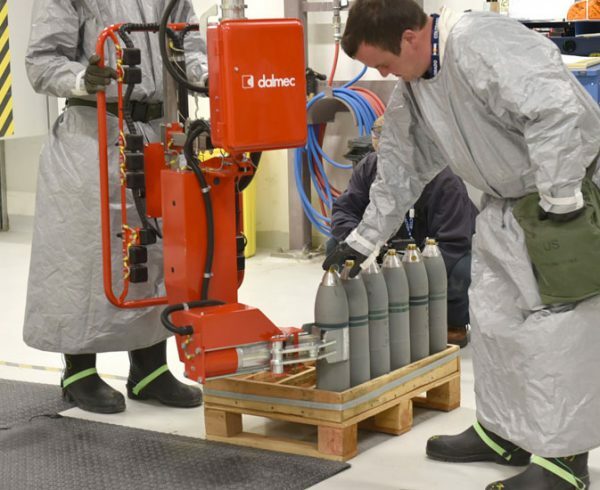 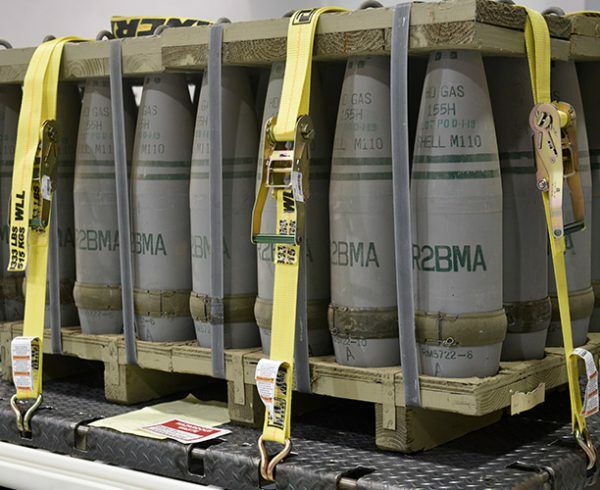 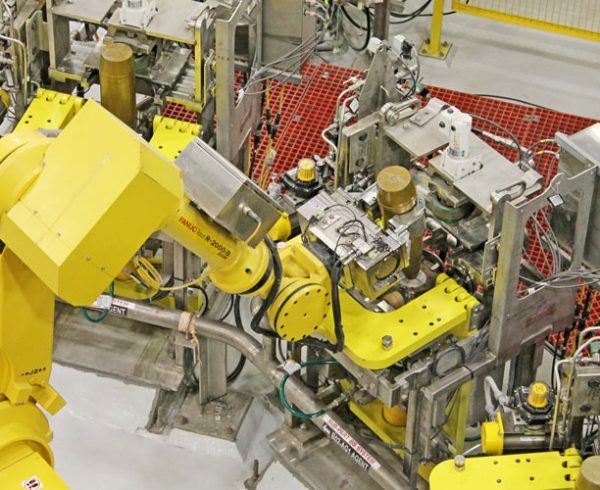 The Pueblo Chemical Agent-Destruction Pilot Plant resumed agent operations this week by sending mustard-filled munitions through its washout system and the drained mustard through the neutralization process. 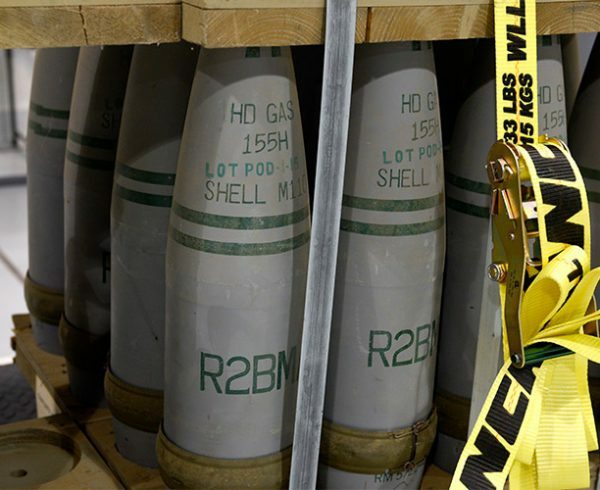 “It has not been easy, but I am pleased to tell you we have reached the point in restarting operations where mustard agent is being neutralized and 155mm munitions are again being eliminated as part of the chemical demilitarization process,” said Greg Mohrman, site project manager, PCAPP. 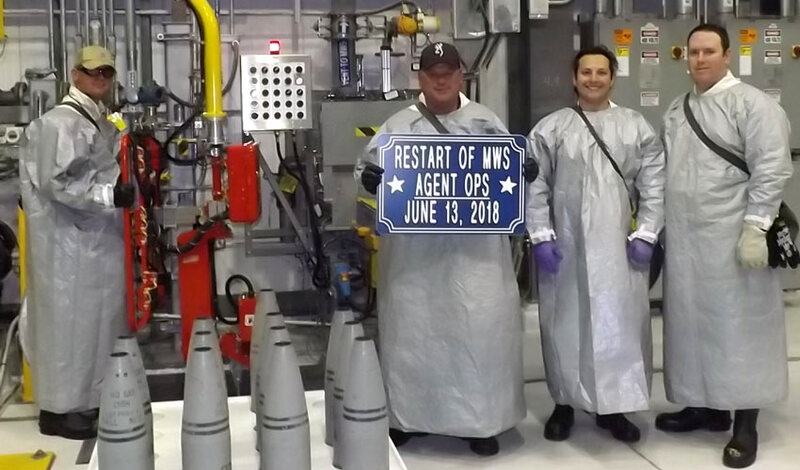 A year after operations began and more than 43,000 munitions destroyed, most activities were paused Sept. 7, 2017, in part due to the impact of steam and solids on Agent Neutralization Reactors. 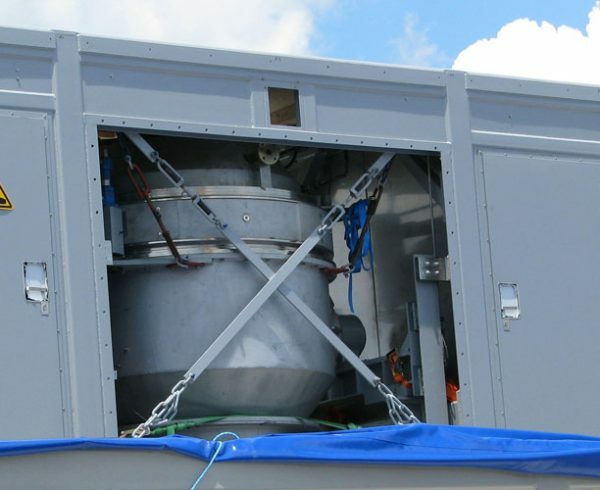 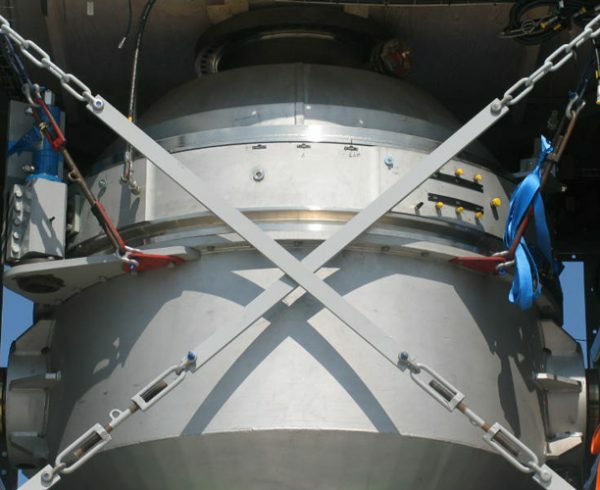 The first of two reactors was successfully tested and approved for use with agent June 12. 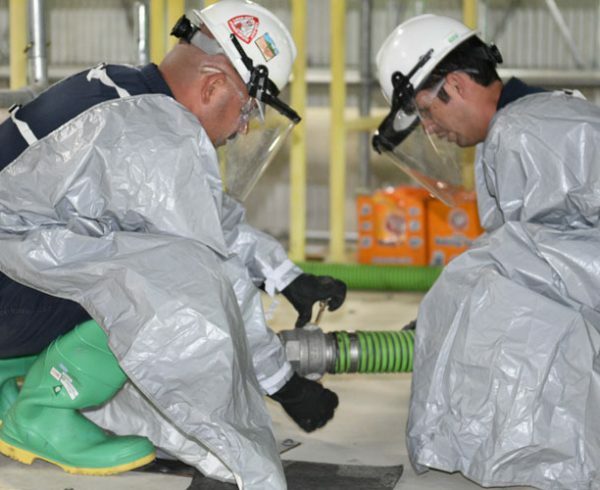 Mohrman said the focus of the resumption of operations has been on the reactors, which required significant engineering and maintenance efforts to deal with steam-induced vibration and the failure of vibration isolators in reactor circulation systems. 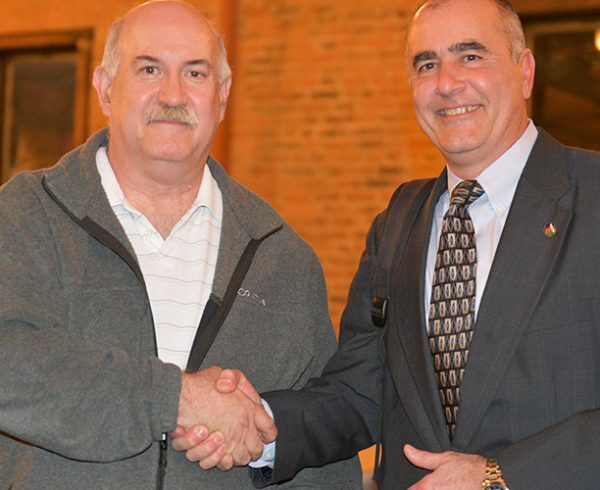 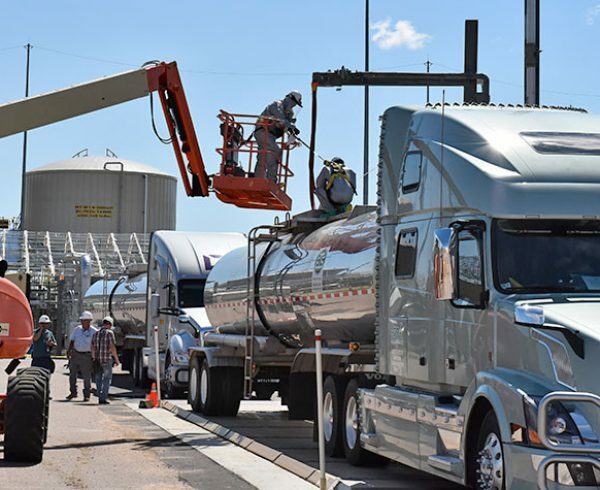 “The PCAPP team has done a tremendous job working together to solve challenges, and has done so with professionalism and enthusiasm,” Mohrman said.